It is vital these days to earn money so that our basic necessities can be met with. Doing so will enable us to focus on more significant things like health and spiritual things. Law of attraction simply works on one basis i.e. like attracts like, the more you attract something, the more it comes to you. Now you might be wondering on how that is possible. This is possible by thinking positively towards anything. When you start thinking positively towards anything, then you are able to attract it towards yourself. This same theory goes for money. 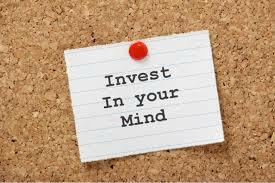 When you start thinking positively about money, you will attract money towards yourself. Share what you possess: To acquire the habit of earning money, begin sharing with people what you already are in possession. This sharing action will lend credence to the belief that you have abundant wealth that you are in a position to share it with others. Don’t let worries bother you: Stop fretting on money, luxury, security and other materialistic aspects. If you succeed in taking off your mind from such matters by way of enhancing your belief in God, you will soon realize that you become a magnet for affluence. Heath comes first and wealth becomes secondary: Without maintaining sound health, it becomes tough to grow rich. Take up the requisite things to find yourself vigorous, fit and energetic. Be focused and be watchful: Pay attention to the nature to gain knowledge on abundance all over the place. Observe the sky and watch a horde of birds flying together. Look at the large group of ants. This way your mind will feel abundance. Spend your money intelligently: Though you have less money still you can take steps to multiply your money power. Invest your money in banks that offer you good interest rates. Also, cut down unnecessary expenses. Conclusion: All the above-mentioned formulas and ideas will fetch positive results if they are implemented in a systematic way with the absolute true spirit. The above mentioned points will help you in quick money making.